When having a new custom home built, it is important that you visit the property frequently and unannounced. Monitoring the home construction project is a particularly important item to do regularly at the beginning of the project. By doing so, you can quickly get a handle on the workmanship and work ethics of your home construction builder and his subcontractors. If you see issues that are concerning, you can promptly raise them with your home construction builder to help ensure your home is built to the quality standards you’re expecting. I have visited new home construction sites where I have found them to be in total disarray. I have seen trash and scrap construction material lying in heaps around the outside of the home for weeks, and even months at a time. I have also seen the inside of the home littered with trash and wood scraps after the crew has left for the evening. 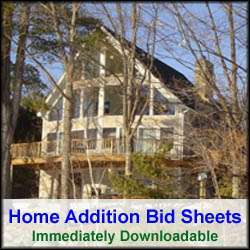 All of these observations raise concerns about the quality of the home construction. The saying “dress for success” comes to mind. If your new custom home construction site looks like a pigpen, don’t be surprised if the quality of your home construction stinks. In addition, a littered site can also create a dangerous site, and when someone gets injured watch your wallet. Anyone can be sued, and don’t be surprised that the injured party doesn’t come after the builder and the property owner, particularly if you already own the land. Whenever possible, dumpsters and portable toilets should be used during the construction of a new home construction project. They should be positioned on the property so that they are out of the way of construction equipment and general people traffic. Also, if the property borders wetlands or other water bodies, environmental fence material should be installed to prevent the leaching of disturbed earth from seeping into the water body. At the end of every workday, the home should be thoroughly swept and trash picked up and properly disposed of. Besides looking for a clean home construction site, you also want to look for quality carpentry and subcontractor work. Take a look at the quality of the rough framing. Inspect the framing cuts and joints to see if they are neat and clean, and that the walls, floors and ceilings are plumb and level. 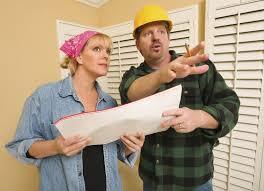 Also inspect the plumbing and electric wiring. Holes, for routing pluming and electric, should be centered between floor and ceiling joists and wall studs. Also inspect the wood being used. If pieces are severely warped, raise this concern with your builder, and ask them to be replaced. Otherwise you’ll wind up seeing some ugly looking finished drywalls. Also make sure the carrying beams sit properly in the foundation wall pockets. Frequently I have seen carrying beams that do not fit properly in the foundation pockets, thus negating much of the value of the carrying beam. Another key element to look for in new home construction is the proper use of flashing. Flashing is used to prevent water from seeping into the home, and it is used on roofs, around fireplaces, between decks and homes, around doors and windows, and siding. Make sure your builder does not short change the use of flashing. Otherwise expect water problems later on. When inspecting the site, after hours, bring along your camera and take pictures. There are a couple of reasons to do this. One reason is to take pictures of key plumbing areas, particularly if your new custom home will have a finished basement. Overtime many homeowners forget where certain key plumbing components exist e.g. J-traps on tubs, or where PVC drains and vent stacks are positioned in walls. The pictures can save you major headaches down the road when maintenance issues come up, or if you need to do demolition or construction later on in the home. The second reason for taking pictures is in the unfortunate event that a dispute arises between you and your builder. The pictures can act as evidence. Take pictures of areas you have concern, and that you have already addressed with you builder. Project management and site safety are other important factors in building a quality new custom home. A properly managed new home construction project will have a centralized “headquarters” somewhere within the home where the architectural drawings are kept available to the construction crew. In addition the “headquarters” should have permits and all required safety notices posted in this area. Frequently “headquarters” are located in the kitchen or garage areas. Garage areas or, basements are also great locations for construction material and tools to be stored. Over the years I have seen job sites where the construction material sits out in the mud and unprotected from the weather. This leads to material damage or theft that costs money to replace. In addition, lumber left to the outside elements will warp, and if still used in the home construction, will lead to lower quality home construction. Make sure your builder stores your home’s construction material in a dry and protected area. Lumber should be neatly stacked and raised off the ground to minimize warping and water damage. Again, garage or basements areas are good options. Keeping tabs on your builder and your new custom home is critical in ensuring you get the finished home you deserve and are paying for. Visit your new custom home construction site regularly and make sure you let your builder know promptly when you see a problem. The longer you wait, or the later you are to discover the problem, the more expensive it will be to correct the problem and the more likelihood of a dispute between you and your builder.